Behind the Scenes - Matthew McConaughey. (Credit: Gramercy Pictures/Alphaville Films/Detour Filmproduction). 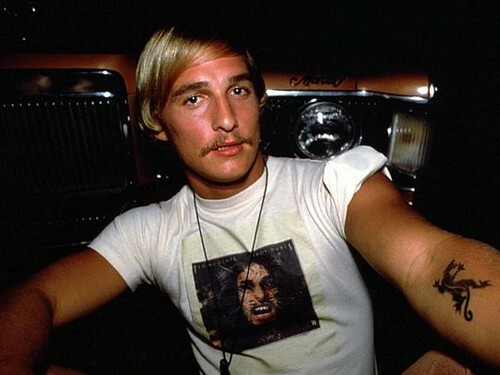 Wallpaper and background images in the Dazed and Confused club tagged: photo dazed and confused behind the scenes matthew mcconaughey david wooderson. This Dazed and Confused photo might contain कॉफी ब्रेक, चाय ब्रेक, and कॉफी तोड़ो.